These are the policies for this website, contact information and emails. Infomation provided by you will be kept completely confidential and will only be retained and used by us. Your information will only be used for the purposes for which you gave it to us. Your information will not given to third parties without your specific permission. On occasion we use third-party systems to send emails. This is not done through organisations that have less stringent privacy rules than our own. To help us monitor our website, we use Google Analytics (“Analytics”). It is a service provided by Google, Inc., which helps us understand how people use the site. To do this, Analytics uses “cookies” technology, which are small text files placed temporarily on your computer. The information generated by Analytics is stored by Google, sometimes on servers in the United States. Google makes the information anonymous before storing it. We use the analysis that Analytics creates from the data, however we do not have direct access to any of the data set itself. We do not collect any personally-identifiable information about visitors to this site. Google has its own terms of service for Analytics, which we recommend you read, however we use the Analytics service in good faith, believing it to be both legal in the UK and in the interests of both ourselves and our web site users. As part of Analytics terms of service, Google says it will not associate your IP address with any other data the company holds. There are, however, links from this site to third parties, such as Google and other links included in the site”s content. We have no control over, and do not monitor the activities of these third parties with respect to privacy. We would expect you to undertake the normal cautions you do when using any other unfamiliar web sites. With this in mond we will not be held responsible for organisations outside our control. Please note: By continuing to use this website, beyond this privacy statement and the page for which you first “visited”, it will be our understanding that you consent to the processing of data about your visit as stated above. 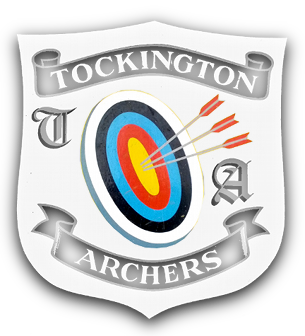 This website and its content is ©copyright of Tockington Archers . All rights reserved.